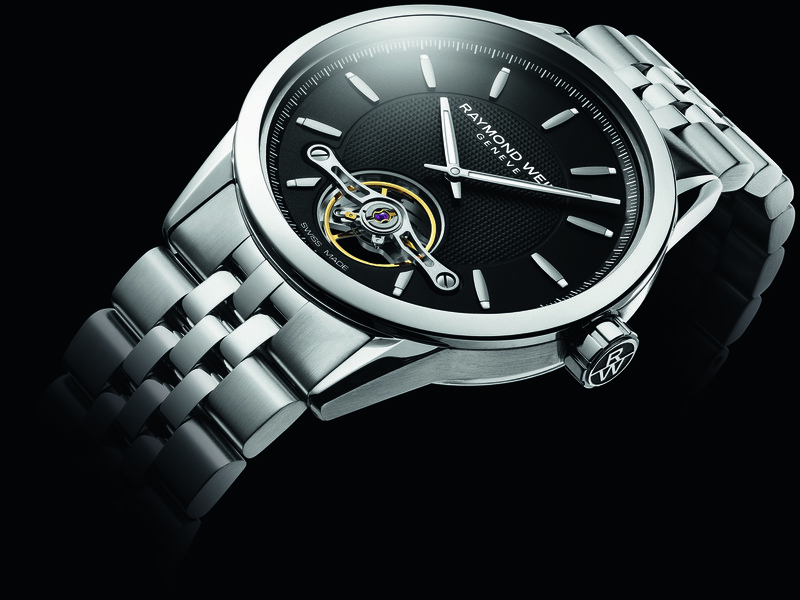 Raymond Weil has introduced its first in-house movement. 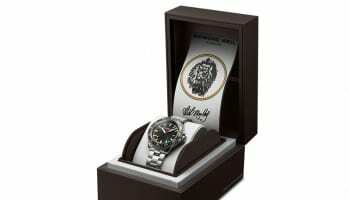 The self-winding Calibre RW1212 was created in collaboration with Swiss movement maker Sellita. 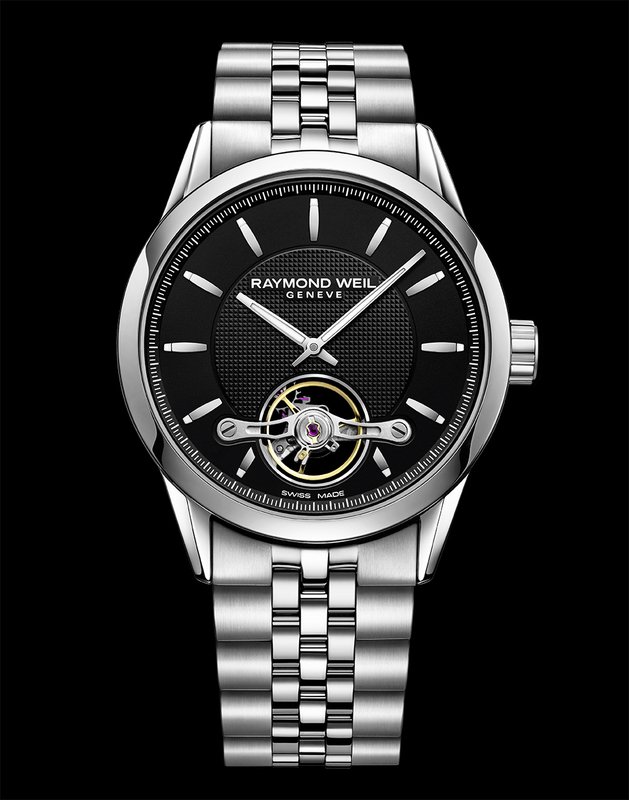 Raymond Weil took responsibility for the research, design and development of the movement, which was then manufactured by Sellita. 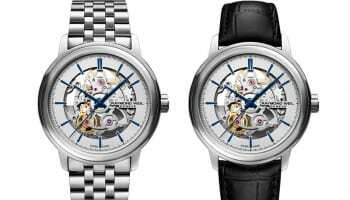 The movement is being introduced this year in the Raymond Weil Freelancer, a two-hand model in a 42.4mm steel case with an exposed balance-and-spring assembly at 6 o’clock. The Freelancer comes in several versions, featuring a silver-toned or black dial teamed with a steel case and bracelet, or with a leather strap, as well as in two-tone variations featuring matching bracelets or leather straps. 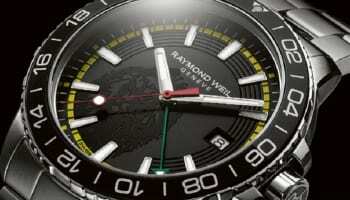 The launch of Raymond Weil’s own movement in the Freelancer is accompanied by the revival of a 1990s “Precision Movements” marketing slogan. 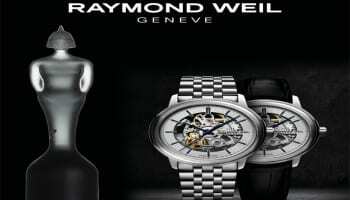 Raymond Weil CEO Elie Bernheim describes the importance of the marketing message accompanying the introduction of the co-created movement. 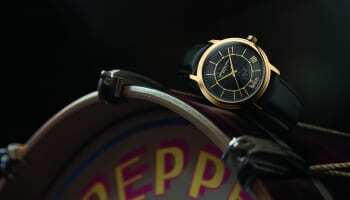 “It is a slogan evoking the precision that we cherish, painstaking attention to detail, the constant quest for quality, as well as unfailing respect for watchmaking skills and talents. It showcases the philosophy that drives us and honours the women and men who daily contribute to making Raymond Weil an innovative and creative House,” she explains.